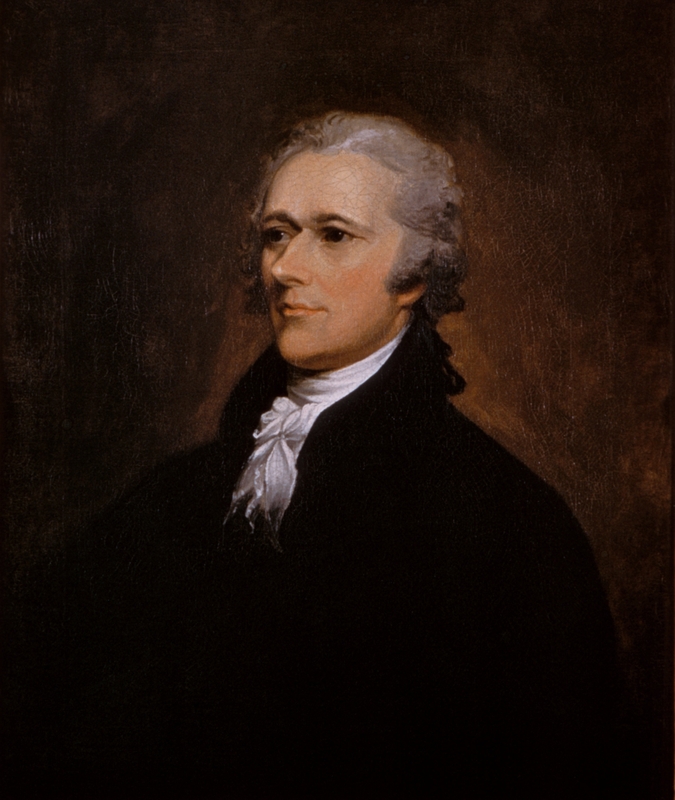 Alexander Hamilton’s envisioned an economic future for the United States in which the fledgling country would soon rival the great powers of Europe in industrial production. The introduction of factories to the new nation was dependent upon banks that could provide access to the money needed to fund such undertakings. The result was the Bank of the United States, which was chartered in 1791, and operated until its charter expired – and was not renewed – in 1811. Five years later the Second Bank of the United States was created by Congress and President James Madison. 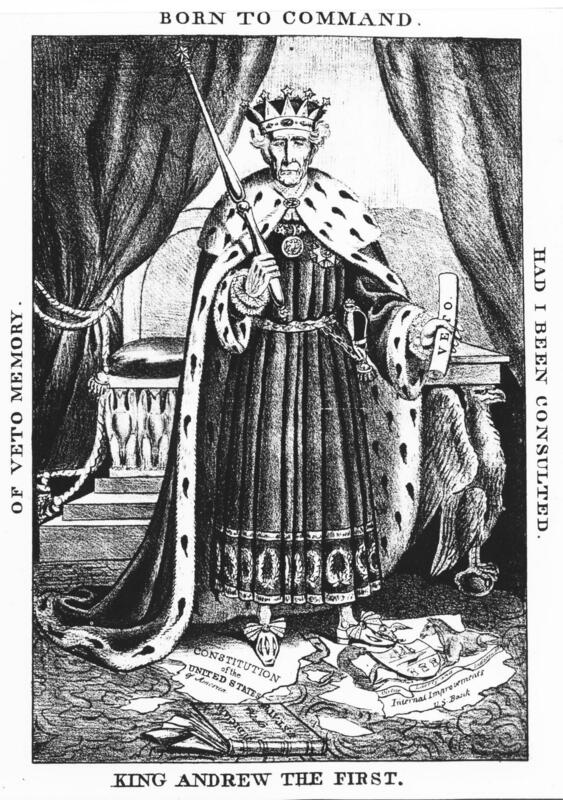 However, an extension of its charter was vetoed by Andrew Jackson in 1832, leading to the transfer of the Bank from federal to state control in 1836. A political cartoon critical of Jackson’s 1832 veto of the charter of the Second Bank of the United States. In the wake of the collapse of the Second Bank of the United States in 1836, banks across the country struggled with fraud, counterfeiting, and the lack of access to banks for many Americans. Banks were banned altogether in Wisconsin. In the states of the Northeast, where banking continued with few interruptions, industry thrived. This was not the case in other parts of the country. The National Banking Act of 1863 hoped to ensure consistent regulation of banks – and thus, consume confidence – across the country. This was especially important in the midst of the Civil War, as banks were the major purveyors of war bonds. With access to capital restored, American industry was poised to explode. This formed the backstory to the founding of the Torrington Savings Bank. Originally chartered as the Wolcottville Savings Bank in 1868, its first location was in the Granite Block, opposite today’s Warner Theatre. Francis Holley was the first president of the bank. 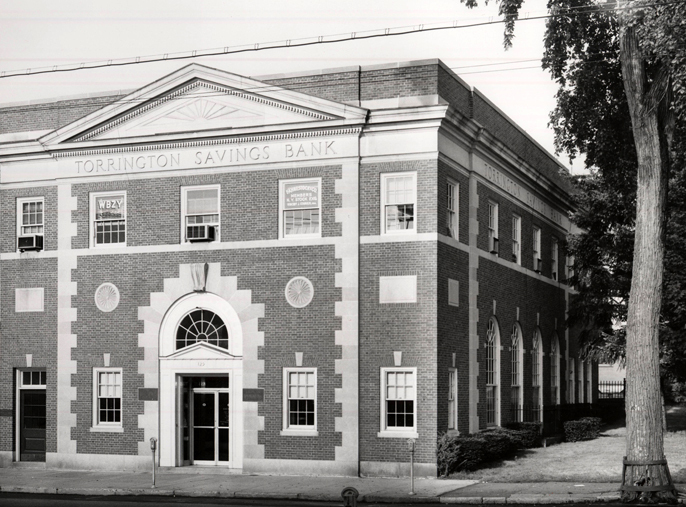 In 1881, the bank changed its name to the Torrington Savings Bank. In 1938, the bank moved to its present headquarters, at the corner of Main Street and Mason Street, which had previously been the site of the George S. Weeks Grocery. The noted American architect Louis Sullivan (1856-1924) famously said that in architecture, “Form follows function.” This is evident in architect Carl Victor Johnson’s design, in which the sturdy brick and stone design is offset by colonial revival architecture, reminding passersby of the bank’s New England roots. 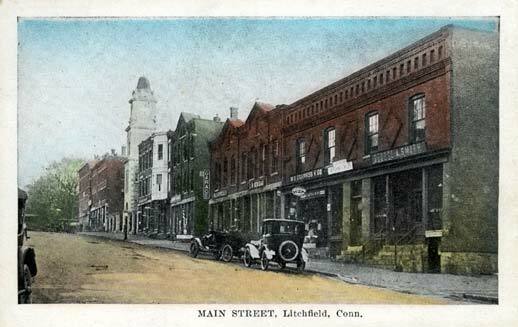 For more on the history of counterfeiting in Litchfield County, see my book, Wicked Litchfield County.